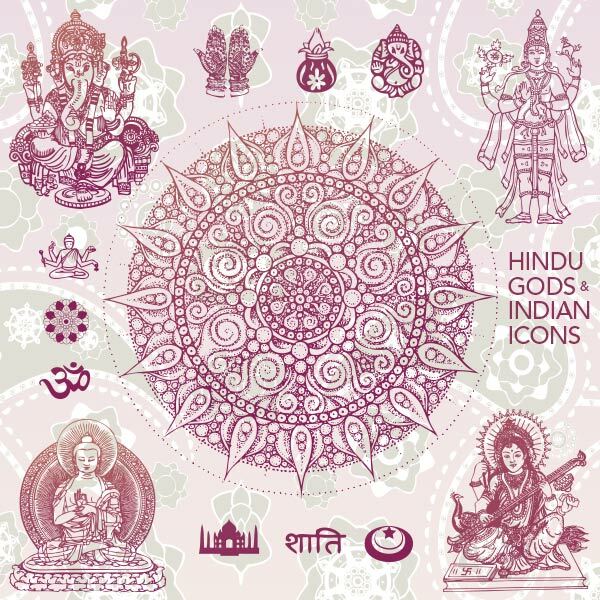 This vector set of Hindu Gods Illustrations and Indian Ornaments from snap2objects is a real gem. There are 4 Hindu Deities including Ganesha who removes obstacles and Sárasuati Goddess of knowledge and luck. Also in the vector set is a large, very ornate mandala and 9 small Hindi ornaments. One of the ornaments is a silhouette of the Taj Mahal. Here are some other vectors related to India and Hinduism.